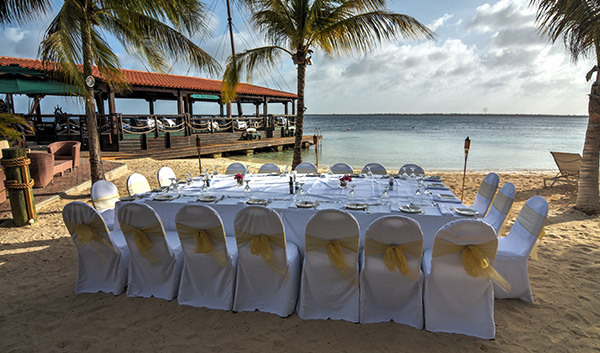 Our tropical beachfront setting combines with elegant, yet laid-back charm at our resort to offer an exclusive event experience, unmatched on Bonaire. Our professional concierge offers personalized service to deliver flawless events, while our catering team rise to the occasion with superb cuisine. With indoor and outdoor event space as well as private dining at La Balandra Restaurant or on the beach, we have the ideal venue for all occasions. When the day's agenda is complete, allow us to arrange group outings, team-building activities and island excursions such as private boat trips from our five star Dive Center, deep-sea fishing charters, sightseeing tours and more. Write the opening chapter to your “happily ever after” right here in the serenity and luxury of our secluded tropical paradise. Our fully-equipped and luxurious Residences just steps from the shore, offer the perfect setting to reunite and reconnect with your most precious loved ones. 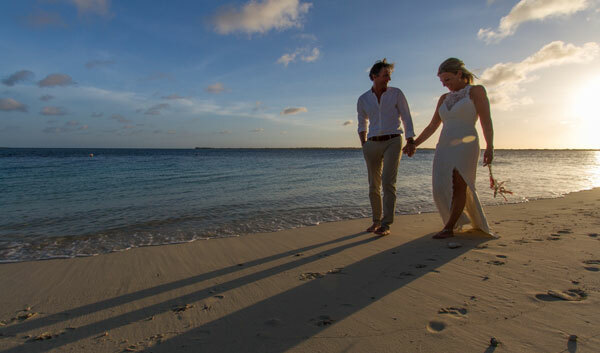 Whispering “I do” with your toes in the sand and love in your hearts, is a Caribbean wedding daydream waiting to come true at the Harbour Village. From the edge of paradise to the spectacular coral reefs below, set your destination meeting to a new level of exclusive. Combine inspiring beachfront venues, personalized service and exceptional catering in a Dutch-Caribbean setting at Harbour Village for your next executive retreat. From exclusive executive retreats, unforgettable family reunions to picturesque weddings in paradise, learn more about hosting events at Harbour Village. Please complete the Request for Proposal form below and a member of our team will contact you.